Oil Tank Services, Inc. will perform complete soil testing to determine whether there is contamination and its extent. 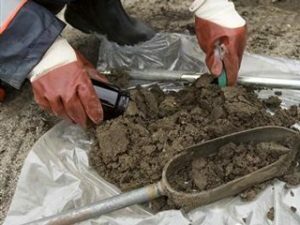 Soil samples are collected six to seven inches beneath the underground oil tank three to four inches away from the tank edges. Analysis of TPHC (Total Petroleum Hydrocarbons) are conducted by a NJDEP (New Jersey Department of Environmental Protection) licensed laboratory. Lab analysis report is presented with a letter summarizing the results of the soil test performed.